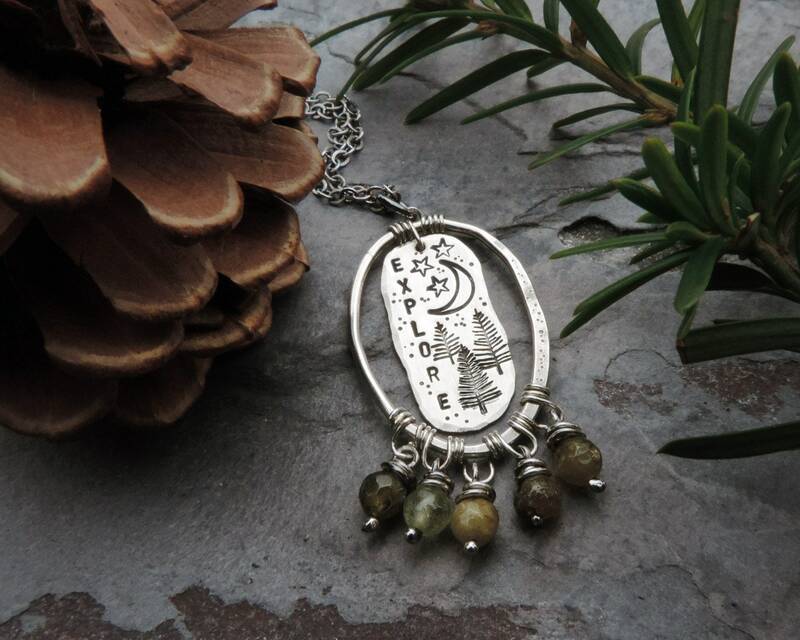 Organic nature-inspired pendant necklace featuring a vertical oval shape cut from sterling silver and hand stamped "EXPLORE" along with a scattering of pine trees, moon and starry sky. It hangs inside an organically formed, textured circle. Five tiny wire-wrapped green agate gemstones swing from the bottom of the ring.